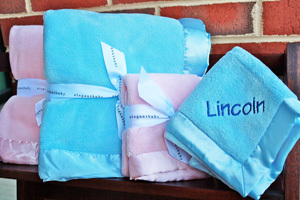 What a great Baby Shower gift! 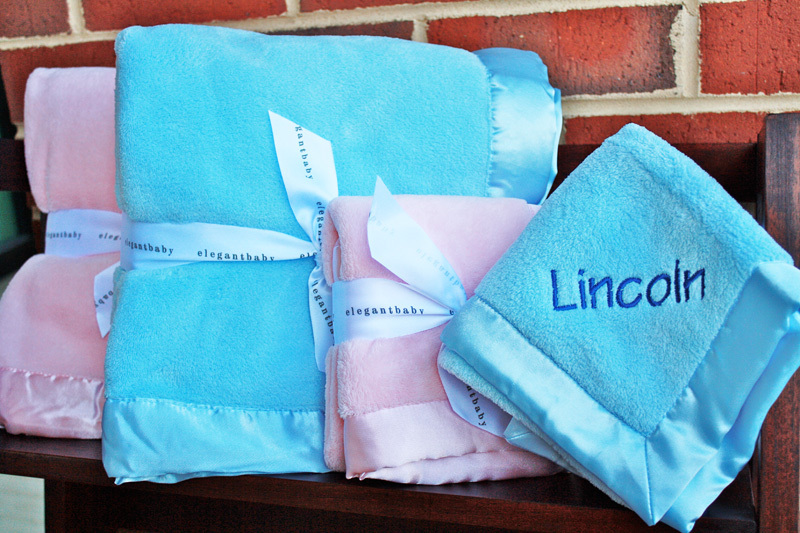 These soft, fleece blankets are perfect to wrap and snuggle your little one in. Picture shows large blanket on the left and small blanket on the right.